The state-controlled oil company has often resembled a character in one of Brazil’s more lurid telenovelas: blessed with great potential, but profligate and easily corrupted. Second-quarter results, though, tell a dull but encouraging tale of rehab under CEO Pedro Parente. The logo of Brazil's state-run Petrobras oil company is seen on a tank in at Petrobras Paulinia refinery in Paulinia, Brazil July 1, 2017. Petroleo Brasileiro reduced its heavy debt load but reported sharply lower second-quarter profit on Aug. 10. The state-controlled oil producer took charges totaling 6.2 billion reais (almost $2 billion) related to participation in a tax-normalization program. The charges offset the impact of sharp cost and expense controls. Net income fell to 316 million reais from 4.45 billion reais in the prior three months. "We are slowly doing the homework of fixing the company's dynamics, especially in the debt and financing fronts," Chief Executive Officer Pedro Parente said. Net debt fell about 7 percent to $89.3 billion from $96.4 billion at the end of 2016. 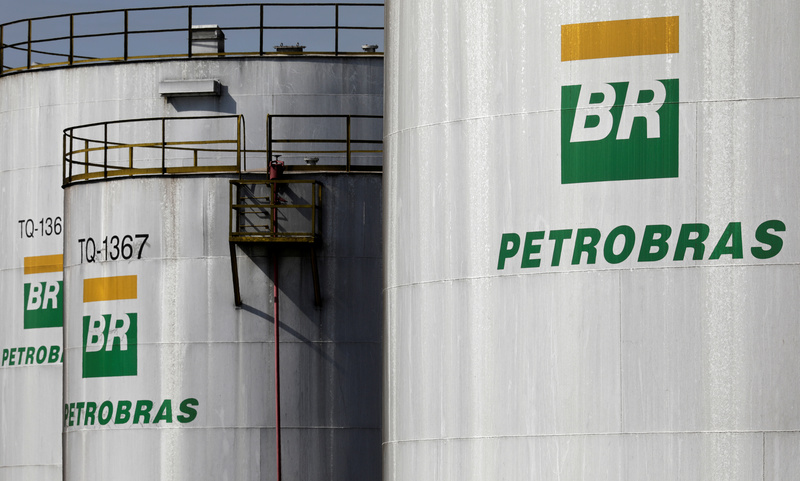 Petrobras shares traded about 1 percent lower in Sao Paulo early on Aug. 11.